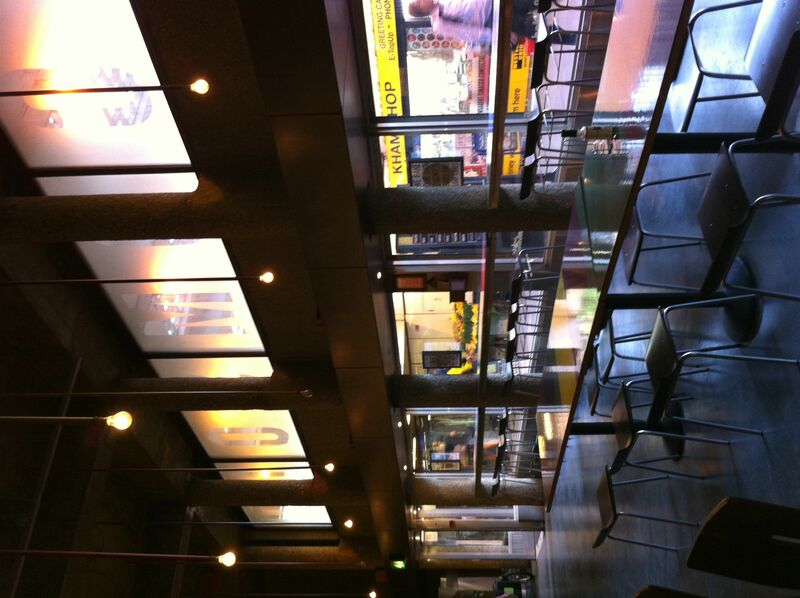 This cafe is in the heart of Old Street Underground station. Interestingly, it is rather a beautiful building. It has slim concrete columns and huge plate glass windows. Maybe underneath the graffiti-covered hoardings, all of Old Street underground station is in fact an elegant sixties building.